It’s hot out there. In my neck of the woods, anyway, it’s been hovering around 100 degrees. (Amazing that it snowed last week in Colorado! WTF, Mother Nature?!!) And it’s not even Memorial Day, which kind of amazes me! Fortunately, you’ve got a week to plan some tasty drinks to go with your Memorial Day Cookout next week! There’s the ever-classic white wine spritzer. Tall skinny glass, fill with ice, fill glass half way with white wine (I’d use a nice Sauvignon Blanc or maybe a Chenin Blanc, nothing too pricey); top up with soda water, add a lemon or lime wedge. Easy Peasy. If you want to get fancy about it, toss in a ball of cantaloupe or watermelon instead of the lemon or lime wedge, the way Martha Stewart likes to do. Sauvignon Blanc and Raspberry Vodka? Go to Tasty Trials for the recipes! How about some Sangria? No, I’m not talking about the pre-bottled stuff – get that right out of your head! 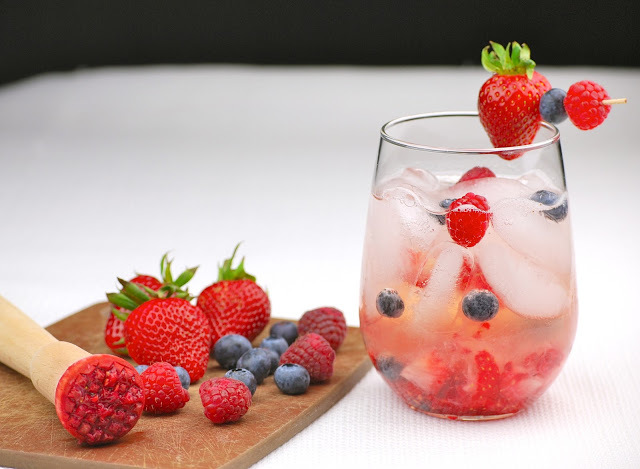 Tasty Trials has several Sangria recipes, but the one that totally caught my interest is the Berry Sangria (and yes, it has Raspberry Vodka in it!). Doesn’t that look yummy? 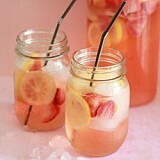 And how perfect for summer, sipping by the pool! However you choose to cool down from the heat, remember to drink a glass of water for every glass of alcohol you drink. Alcohol and heat do NOT mix; it can be a fatal combination, so please be smart about your intake. Have a great weekend, my friends – stay cool! 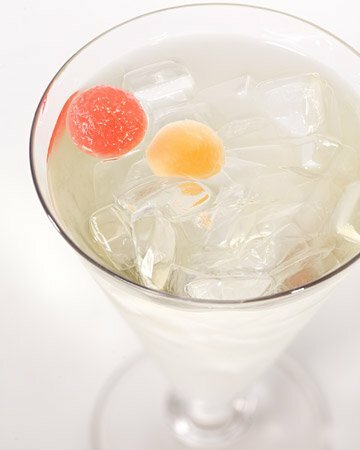 Do you have a favorite wine cocktail recipe? Please share! This entry was posted in Observations, Wine Friday and tagged Christine Ashworth, Kitchen Treaty, Martha Stewart, Sangria, Tasty Trials, Wine Cocktails. Bookmark the permalink.